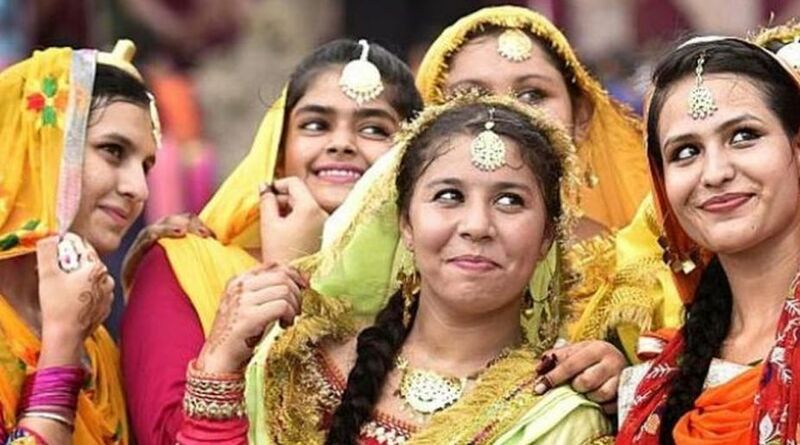 Teej festival is a joyous time for ladies. Time to get together with family and friends. Time to put aside everyday worries for a while. It is a day widely celebrated by married Hindu women in Northern and Western parts of India to pray for the long life and well-being of their husbands. But it is not going to be a cosy, private celebration between the couples. Speaking of henna coloured hands, fun-frolic songs, dance, swings and pleasure, they are always a part of this festivity. Ladies organise get-togethers which would be filled with snacks, foods, sweets, games, music and dance performances. The cost is divided among all the participants equally. So gear up gorgeous, spend time at the salon and buy traditional attires and accessories like decorative bindis, cosmetics, bangles, earrings and other jewellery. Time to get ready gracefully and flaunt by being a part of such festival. This festival is no longer just about traditions but it has become an occasion to socialise and show off. 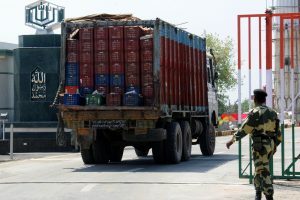 Due to this, besides traditional apparels, many more segments are now seeing a surge in sales during the Teej festival. The scale is now getting bigger and wider as most of the ladies in the society across communities participate in this festivity just to enjoy. This includes ready-made sweets, packaged food items, beverages, grooming, movie tickets and dining out. Ladies love to take selfies and videos and share them on social media like whatsapp and facebook. They are in the process of learning about the origin and significance of this festival. Yesterday’s traditions are today’s modernity and celebration. Teej gives women space to experiment and indulge. Fusion wear, new cuisines and spending on grooming has become a trend today. Everyone celebrates this occasion according to their means. While some celebrate it in a lavish way, the poor too celebrate according to their means. Celebrating this event and even watching it definitely lift your spirit. Automatically your feet start to move with the music and your worries take a back seat. With the onset of festive season, people feel happy and rejuvenated in the form of Teej celebration. It provides an opportunity for the ladies of different age groups and communities to come together and be a part of something special. The feeling of oneness is inescapable and heart-warming. Be it sari-clad women, swings on trees or mehndi artists putting impeccable designs on hands and feet, it’s the feeling that sets the day apart. Enjoy it as joyously as possible. It’s a pleasure to admire Teej celebration in Jaipur. The cultural flavour of Rajasthan is showcased here through preparation of Teej-special sweets like ‘Ghewar and ‘Malpua’, dancing women in Rajasthani ghagras and the grand procession of decorated idols of Goddess Parvati and Lord Shiva carried by thousands of devotees. Elephants, camels and dance folk performances by artists is a part of procession. Beautifully decorated swings are hung on trees in many open places which can be enjoyed by anyone. Some other major activities include shopping, singing, dancing and palm decoration with henna. You can visit Chandigarh’s Rock Garden to mark the colourful celebrations of Teej festival. You can see women dressed in glittering Punjabi attires dancing to the tunes of latest Bollywood numbers. You can relish delicacies with the locals here. Games like tambola are organised. You can ride the swings to have the feel of this festival. 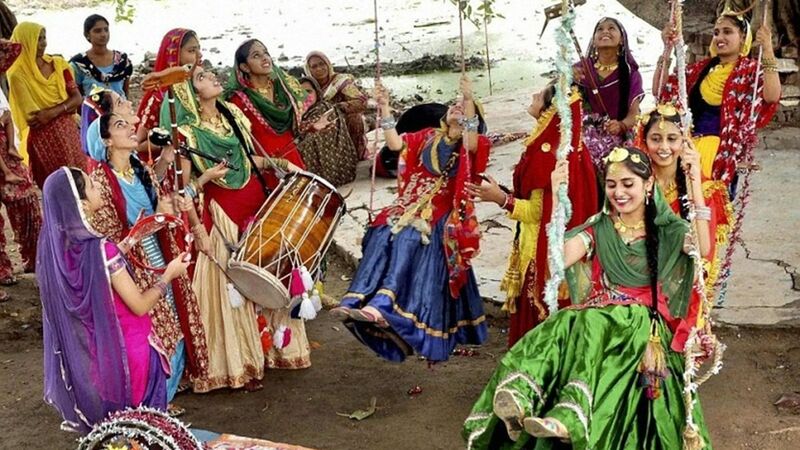 Women in Gujarat also splurge in the colourful festivity of Teej with great zest and enthusiasm. The most attractive part of this festival here are Teej fairs. These fairs and markets are stocked with women ornaments, embellishments and other household stuff. In most towns, villages, processions are taken out with beautifully adorned elephants and horses to celebrate the occasion. Special Gujarati dance performances are organised where women perform ‘Garba and Dandiya’ dance forms in traditional lehnga-choli. Lord Shiva and Goddess Parvati temples are well decorated and worth seeing. Beautifully decorated swings can be seen hung from trees and in the courtyards of houses. This festival welcomes the monsoon in Haryana with a big bang. Myna Tourist Complex in Rohtak comes alive during this festival. Swings are fashioned on boughs of trees and cultural programmes present the rich folk songs of the state. Feasts are organised and it’s worth of being part of this celebration. Delhi is the right place for you to celebrate and enjoy the festival of Teej with great enthusiasm. Make sure to visit Dilli Haat, INA colony to entertain yourself with dance and music. Here you can enjoy ride on swings hung on trees and applying beautiful mehndi on hands and feet. You can also indulge in shopping for handicrafts and relish Rajasthani cuisine. Besides this Dilli Haat, there are two more dilli Haats in the city. One in Pitampura and other in Janakpuri. All these haats showcase a lifestyle exhibition with stalls offering Teej special gift packs, jewellery, decorative bindis, beautiful rakhis and exclusive henna designs. No wonder, Noida in Uttar Pradesh is also teaming with Teej melas, haat bazaars and exhibitions. It is now an annual ritual at Noida Diary to come up with a curated list of handpicked Teej melas. Mehndi is the most popular feature here besides swings and food stalls. Hariyali Teej is one of the most loved and celebrated festivals of North India. It falls on the third day of the first fortnight of the Hindu month Shravan. Clad yourself in beautiful traditional attire, wear bangles, jhumkas and adorn your hands with henna. Sing, dance and enjoy! That’s what Teej means.